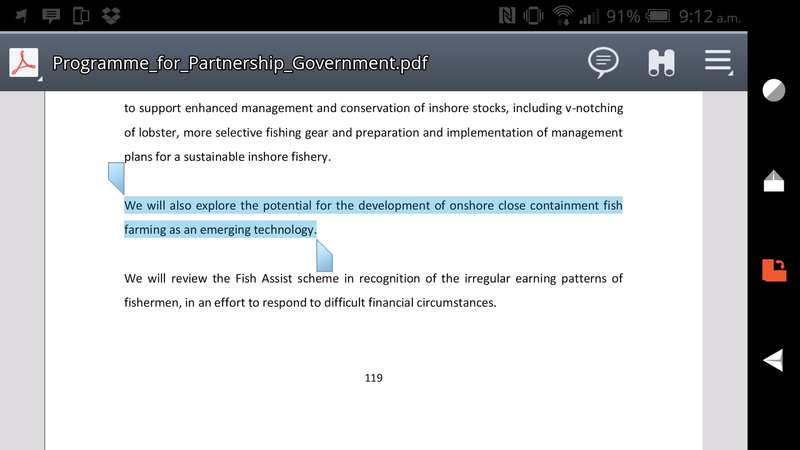 Salmon Watch Ireland welcomes the following extract of our new government's program. The issues surrounding the impact of sea lice and escapees can be solved with closed containment and Ireland can be at the forefront of the rollout of this new and trusted technology. The aquaculture industry cannot further expand globally without this technology due to factors involving sustainability, relating to disease and parasite induced mortalities to farmed fish. We as always focus on wild fish and we see closed containment as a relatively fail safe technology which can help to put in place a barrier to transmission of sea lice to our wild fish and to further safeguard our wild salmon genetic pool by eliminating escapees from farms. Marine Harvest Closed Containment: The Future?